Researchers found an unlikely connection between stranded whales and the Northern Lights. The northern lights might be a brilliant spectacle for some, but they might have spelled doom for some unfortunate sperm whales. Credits: NASA. 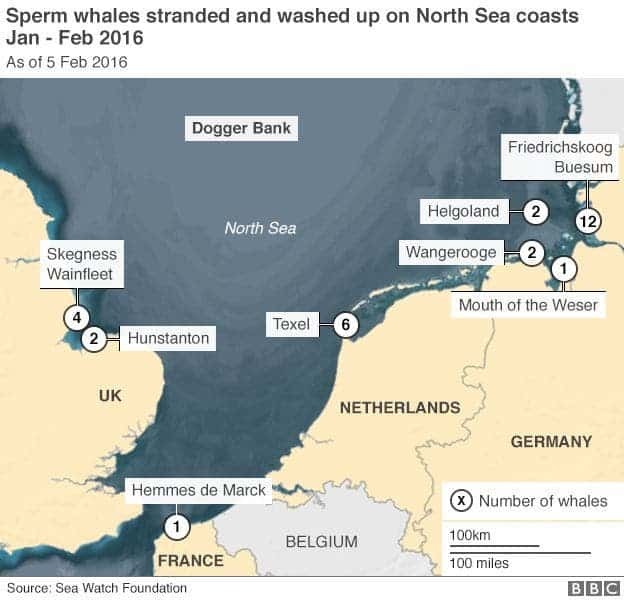 In early 2016, the stranding of 29 sperm whales in the North Sea left researchers surprised, since these whales are not normally found in that part of the world. None of them survived. Autopsies revealed that the whales were all in pretty good health, so the exact reason why they became stranded in shallow waters remained a mystery. 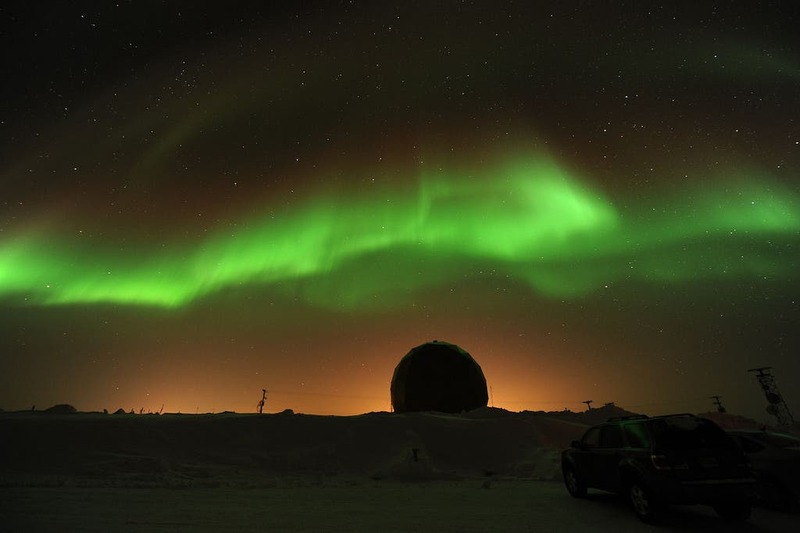 Now, researchers proposed an unexpected culprit: geomagnetic storms. Sperm whales live in temperate to warm waters all year long. They tend to migrate between the warmer equatorial waters and the colder but squid-rich waters of the Norwegian sea. The North Sea isn’t really on their list, and neither is it on the list of Gonatus fabricii squid — their preferred food — so it doesn’t make much sense to venture that far. They normally stick to the western side of Great Britain, whereas the North Sea is more to the east. That fatal mistake might be explained through magnetic fields. The magnetic map of where the Norwegian and North Seas join. The whales should have traveled along the white arrow, but instead traveled along the red arrow. Credit: Vanselow et al. The Earth’s magnetic field is not uniform — it has numerous anomalies, both positive and negative, big and small. It’s thought that some creatures use this field to navigate through their migration, but this technique can be severely disturbed by solar storms, which produce huge differences that totally confuse the animals. This is a relatively new concept, but it has been previously documented in both birds and bees. Dolphins also seem to use the magnetic field, so it would make sense for whales to do it too. Dr Klaus Vanselow from the University of Kiel, Germany, believes this is also what happened to the whales. He and his team claim a large solar storm distorted the magnetic field, causing the unfortunate mammals to lose their way in the sea. The same solar storm produced spectacular northern lights, visible from the Arctic down to Scotland. Specifically, they identified two such storms occurring on December 20/21, 2015, and December 31 and January 1, 2015/2016. 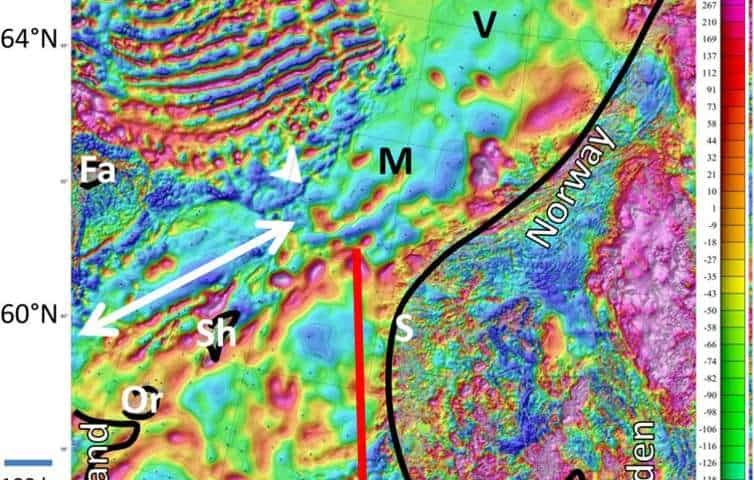 They found that the anomalies caused by these storms stretched down to the Shetland Islands, where the whales would have turned right (east) instead of left (west). Normally, the whales would sense a magnetic barrier in front of the North Sea and avoid diving into it, kind of like a magnetic mountain. However, the storms “leveled” these magnetic mountains, rendering them invisible for the whales. This misstep was all it took. This seems to fit very well with the timeline of the whales but of course, correlation does not imply causation. We still don’t know exactly how the whales detect and operate based on this magnetic field, and just because this seems to fit doesn’t mean it is indeed what happened. In other words, it’s a properly designed study that offers a solid hypothesis, but it doesn’t really prove anything. Dr Antti Pulkkinen, who is leading a NASA effort to investigate the link between strandings in Cape Cod and geomagnetic storms, says there’s just not enough data to draw a definite conclusion.